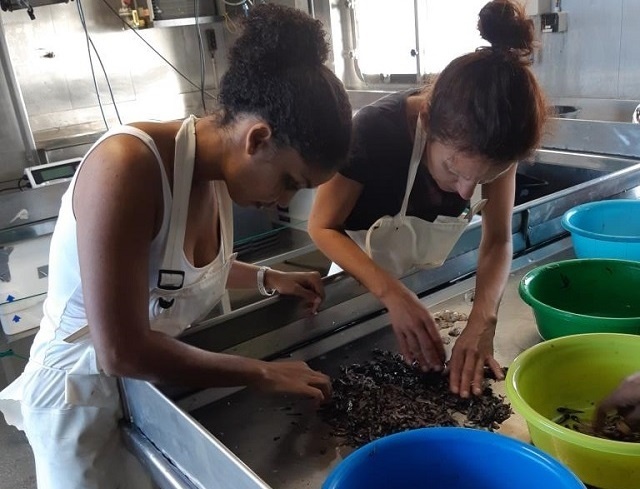 (Seychelles News Agency) - Two weeks of training onboard a foreign research vessel proved to be an enriching and rewarding experience, a Seychellois who was part of the research team told SNA. Jennifer Appoo was one of two Seychellois onboard the Dr. Fridtjof Nansen, a Norwegian vessel that was carrying out a survey within the joint management area, a joint maritime jurisdiction between Seychelles and Mauritius, islands in the western Indian Ocean. 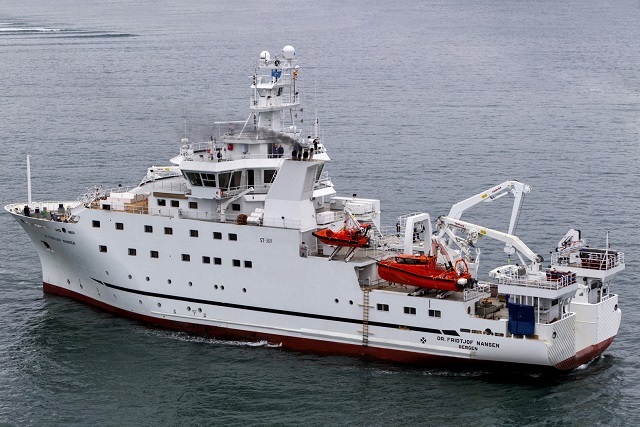 Equipped for advanced and multidisciplinary marine research, the Dr. Fridtjof Nansen is owned by the Norwegian Organisation for Development Cooperation (NORAD). 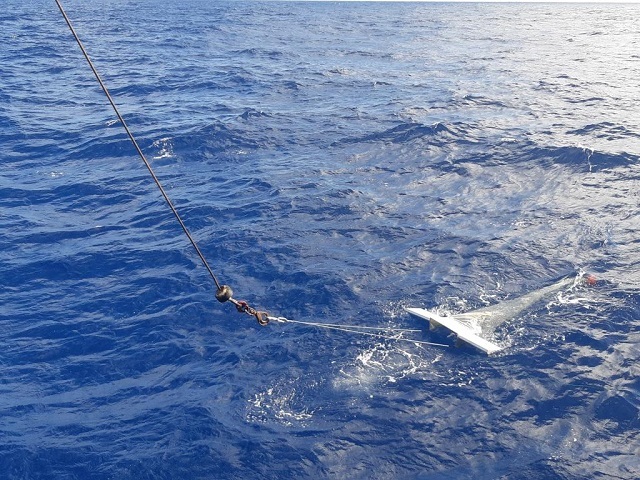 “I had never been on a research vessel before, let alone in the open ocean. I was exposed to rigorous scientific methodologies and state-of-the-art research equipment,” said Appoo, a Science and Projects Coordinator at the Seychelles Islands Foundation (SIF). She added that it was interesting to see the fish community composition in deep waters - ranging between 100 meters to 200 meters in depth - and the different adaptations of fish living in cold and dark conditions. This provided her with a better understanding of operations and limitations of conducting research at sea. During the training, the participants were split into two groups. “I formed part of the ‘biological and microplastics sampling’ group which means I participated in the sampling of phytoplankton, zooplankton, mesopelagic fish and microplastics and processing the samples for further analysis,” said Appoo. The officer of the island's foundation said that preliminary analysis on board the vessel showed little plastic debris at the sampling locations. “Plastic fragments were however still present in the samples collected showing that marine debris travels long distances and spreads widely across oceans. The water samples will be analysed further and have been sent to the Institute of Marine Research in Norway,” explained Appoo. Results of the survey will be provided in a report later during the year. The other group was responsible for measuring water chemical parameters such as dissolved oxygen, pH, total alkalinity, chlorophyll and nutrients. Although there were two groups, participants had the chance to observe each other’s work. The surveys carried out by the vessel are aimed at contributing capacity development in less developed countries. It is also a way of assisting other countries to collect oceanographic data. Researchers from the Norwegian Institute of Marine Research assisted with the training. Apart from the two Seychellois onboard, there were also participants from South Africa, India and Sri Lanka. The second leg departed from Mauritius to Sri Lanka where surveys will be conducted on the Bay of Bengal. Four Seychellois benefitted from the training on an earlier part of the trip.